The Fourth Judicial District Commission on Judicial Performance unanimously recommends, by a vote of 7-0, that Judge Jonathan L. Walker BE RETAINED. Judge Walker was appointed to the El Paso County Court in May 2007. Prior to his appointment, Judge Walker was a Public Defender. 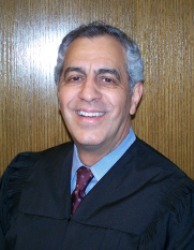 Judge Walker received an undergraduate degree from the University of Michigan and a law degree from Wayne State University School of Law School. Judge Walker has been very active in many community service activities including, United Way, The Urban League, Teen Court, The Arc, Mock Trial, Tessa, and Cheyenne Village. The Commission conducted a personal interview with Judge Walker, reviewed opinions provided, observed him in court, and reviewed surveys sent to attorneys and non-attorneys. Among the survey questions was how strongly do you recommend that Judge Walker be retained in office, or not be retained in office?" Of attorneys responding to the survey, 80% recommended to retain, 15% recommended to not retain and 6% made no recommendation regarding retention. Of the non-attorneys responding to the survey, 89% recommended to retain, 7% recommended to not retain and 5% made no recommendation regarding retention. (These percentages may not total 100% due to rounding). Judge Walker handles all matters within the jurisdiction of County Court. He also volunteers to handle District Court matters whenever he is available. Judge Walker received very high marks in the attorney survey in the areas of overall demeanor, giving the parties respect and the dignity of the proceedings. The Commission feels he needs to be more measured and not rushed in trial. Judge Walker received very high marks in the non-attorney survey in the areas of compassion, communication, and overall fairness, all well above the averages.